Main RAM at least 64kB (e.g. Sony HB-F700 has 256kB RAM). Internally expandable to 4MB with the Memory Mapper system, more can be achieved with connecting multiple Memory Mappers with a slot-expander. 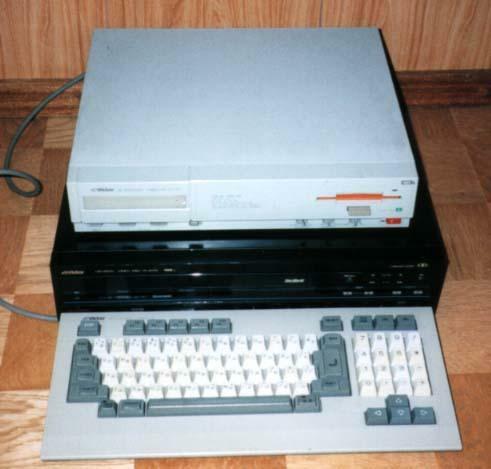 32kB BASIC/BIOS and 16kB subROM (MSX BASIC version 2.0 or 2.1, the latter has the possibility of a RAMdisk bigger than 32kB in BASIC). Video Display Processor Yamaha V9938 (backward compatible with TMS-9918 and TMS-9928). Video RAM at least 64kB (usually 128kB in almost all machines, expandable to 196kB with 64kB ERAM, which can not be displayed, but can be used internally as a databank). Real time clock chip with rechargeable battery. 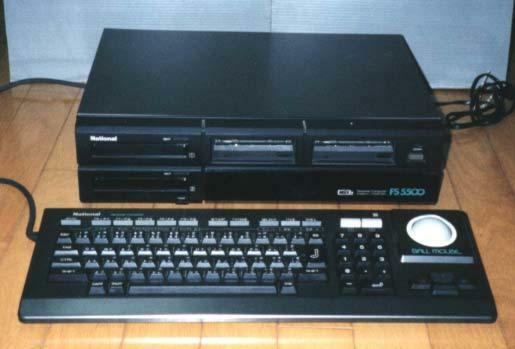 Most of produced MSX2 machines had built in at least one disk drive (360kB or 720kB 3,5"). Of course this list contains only specs that differ from an MSX1 machine. Screen modes from 0 to 3 are the same as on MSX1, except that in screen 0 the 80 column mode is always available and that the colours can be selected from a 512 colour palette. Note: the 424 lines can only be displayed in interlace mode! Almost the same as screen 2. Used in some MSX2 games, e.g. Pennant Race 2 and Space Manbow by Konami. Used by DTP programs, some MSX-DOS GUIs and some disk magazines. Used by some games/most disk magazines and other software. "Hit Bit in Orbit" - MSX2 Sony HB-G900 in space! 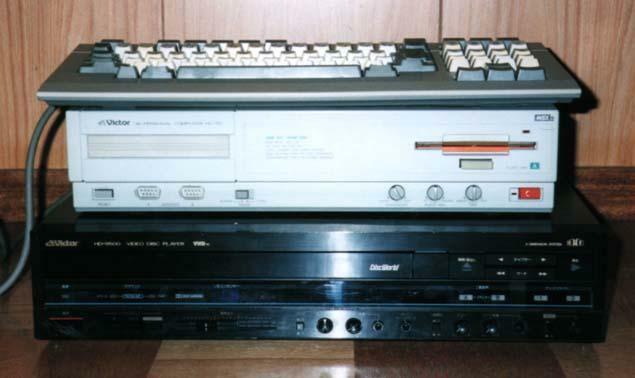 "A sony 900 has boldy gone where no MSX has gone before... into space! To celeberate the 25th anniversary of the Apollo mission, German televisionbroadcasted American and Soviet space footage. Whilst watching images of the interior of the Russian space staition Mir, Gerd Pepela recognised his computer - a Sony 900 with genlocker. He managed to capture this on video. The pictures are a little fuzzy - but you'd recognise your own machine anywhere, wouldnt you? Mir was launched on 19 February 1986 to an orbit of 241 miles." You can download an MPEG-movie of this from the site of David Heremans. Note: some of these pictures were taken from Maurizio's site. The picture-dir is here. Thanks to Patriek Lesparre of MSX Banzai to let me use some of these pics. 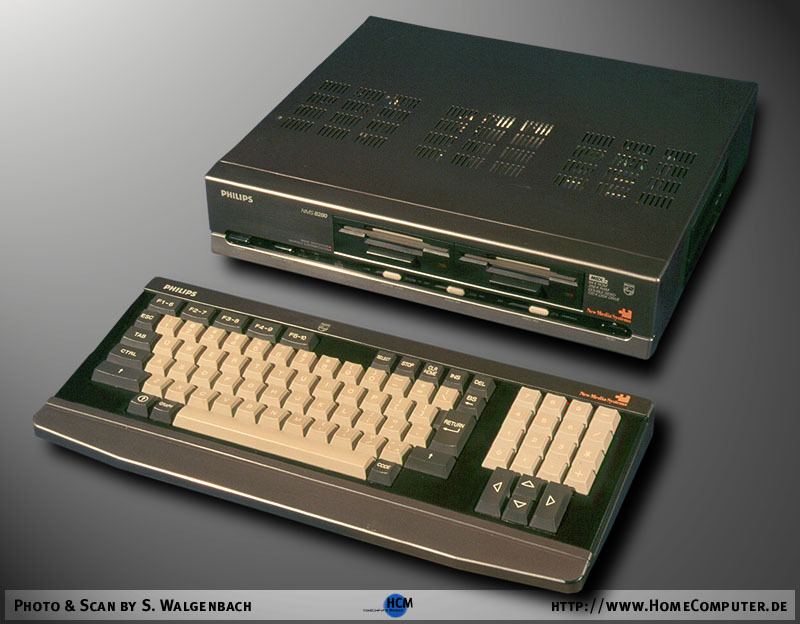 More pictures are on The FUNET FTP MSX-hardware pictures directory! 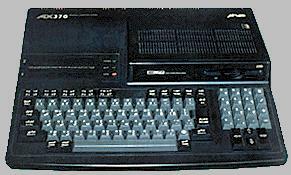 And for more info on specific MSX2 computers, please check out the MSX Hardwarelist. 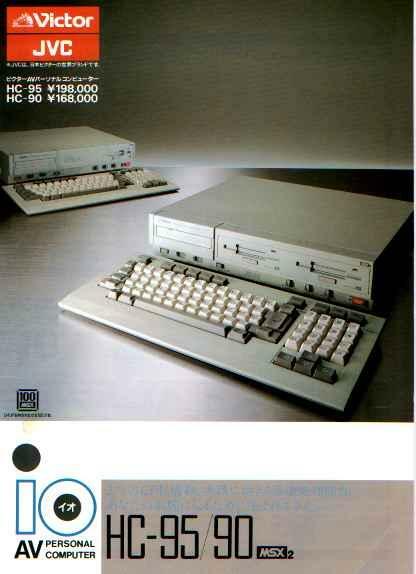 MSX2 software was and is supplied on 360kB and 720kB disks and as well in (Mega) ROM modules, but of course the (old?) 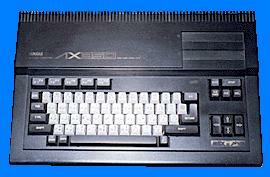 MSX1 software can also be used on this MSX, in any medium. 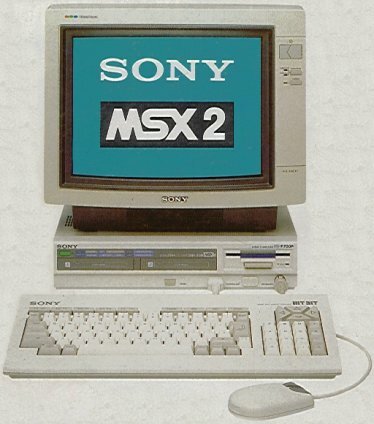 MSX2/2+/Turbo R software is still produced by local user groups/programmers nowadays. Sony, Sanyo, Panasonic, Mitsubishi, National, Philips, Sakhr (Yamaha), Talent, Telematica, Toshiba, Yamaha, Daewoo, etc. Back to the FAQ's index!